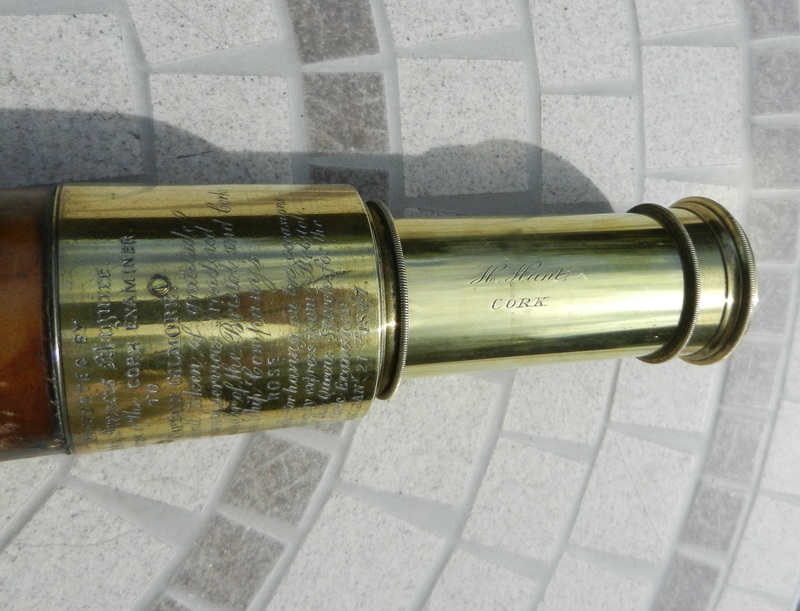 A specially engraved presentation telescope usually gives a lot of background, like the date, and the first owner. In addition they are usually good quality telescopes, to start with! 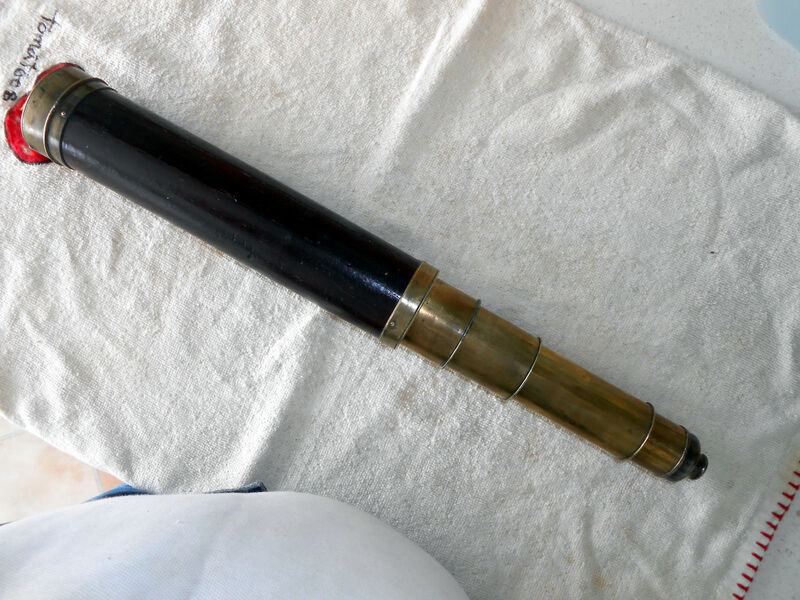 The telescope looks pretty impressive: it is a single draw, tapered barrel model, 40” long when fully open and with a 2.5” objective. 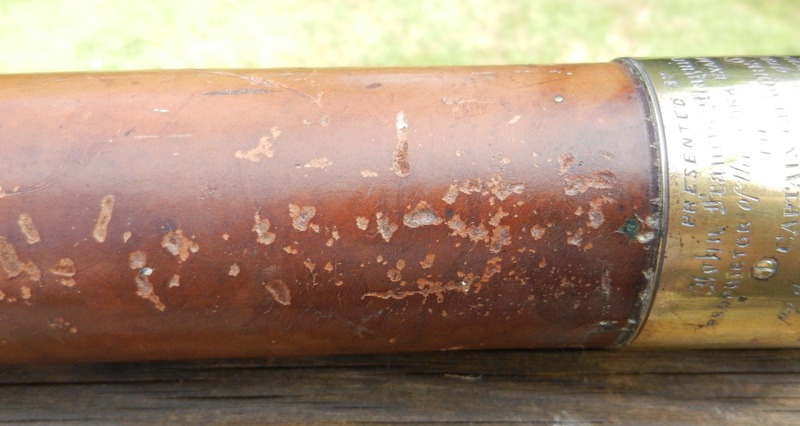 The barrel is wood, covered in tan leather – the stitching is good, but the leather looks like it has had an attack by very small mice, or maybe even woodworm or grubs! 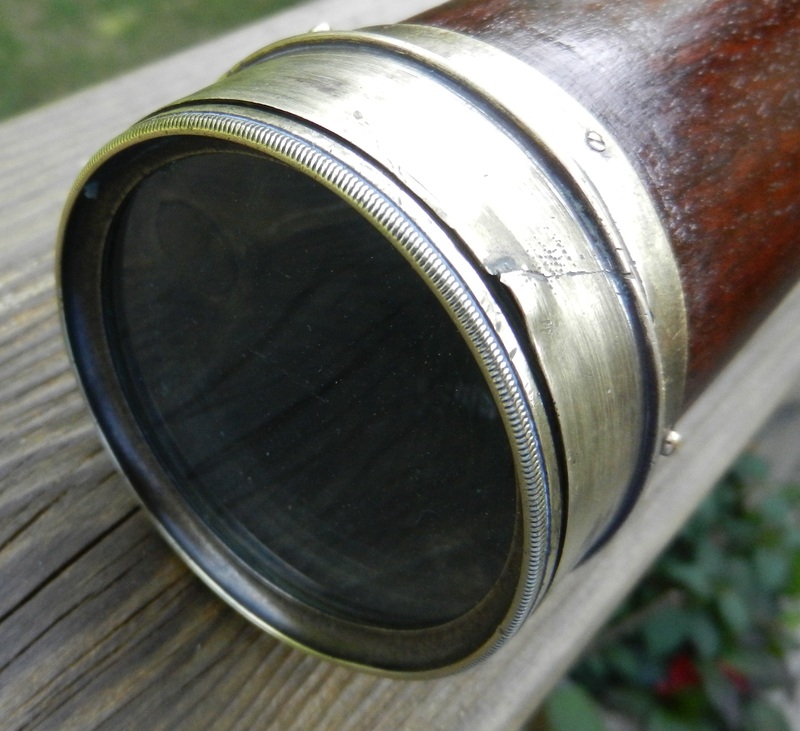 The eyepiece is of the flat ended style, which had been replaced in many cases in England with the rounded bulbous style by Queen Victoria’s reign. 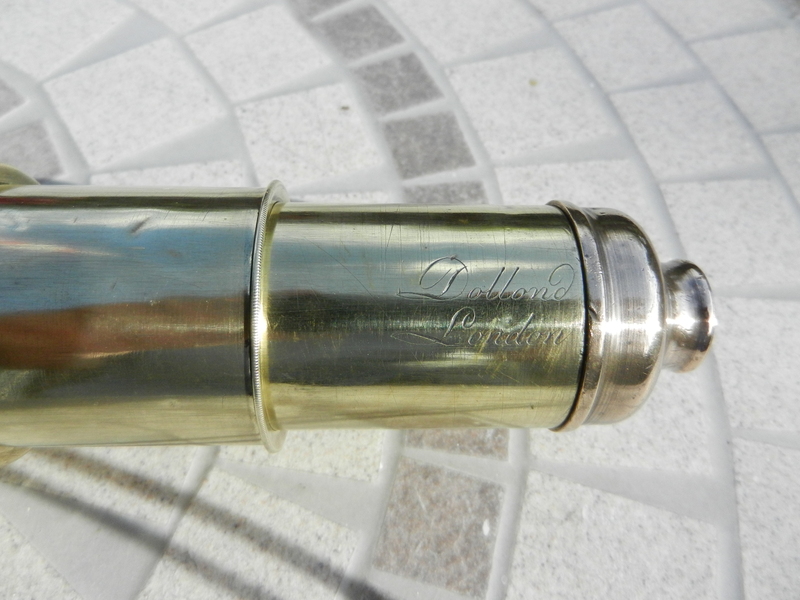 The brass end fittings are in good condition and the single draw is engraved H Hunt of Cork. The lens assemblies are in two carriers and these are well made. 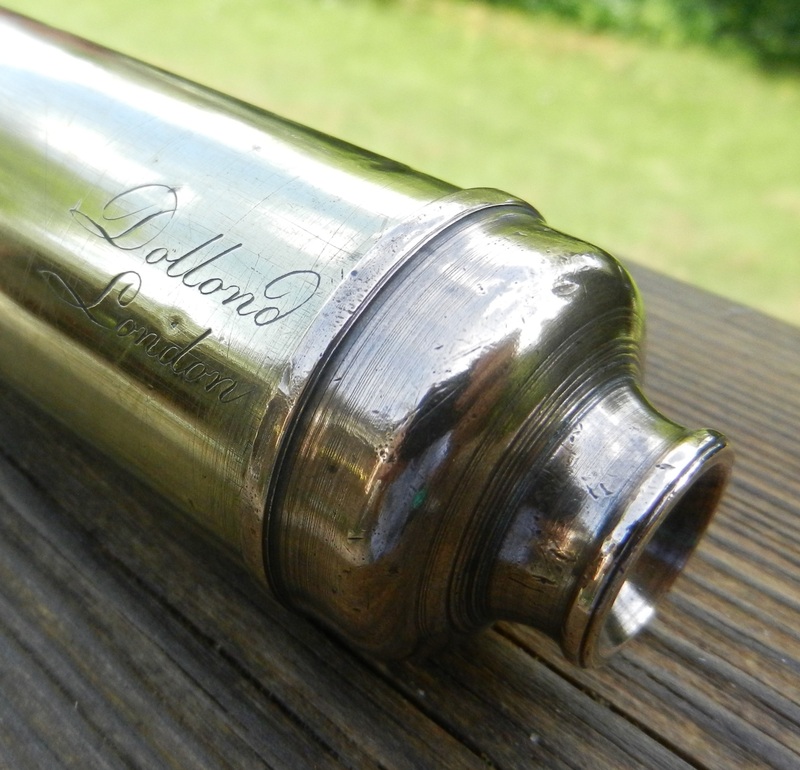 Apparently, maybe 60 years later, this design of telescope was referred to as a Coastguard general observation telescope. 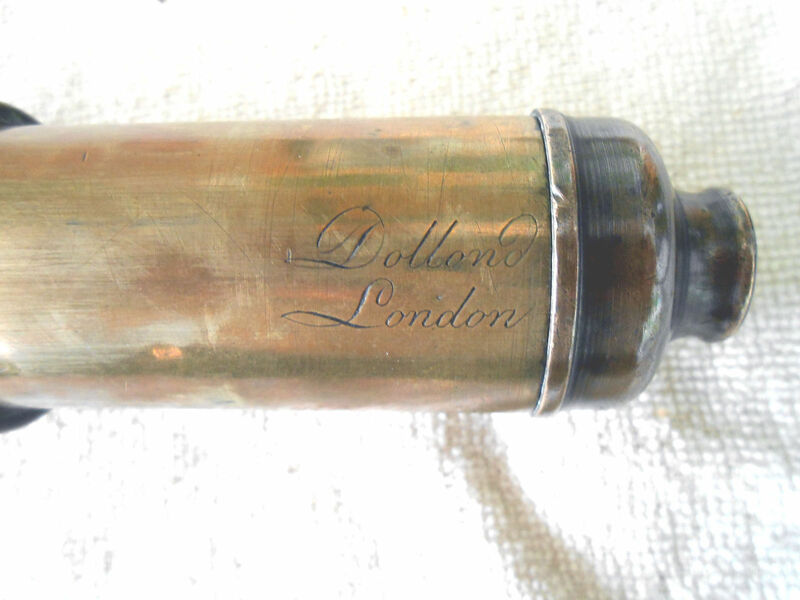 The Hunt family in Cork were optical instrument suppliers from the early 1800s, starting with Thomas and John. 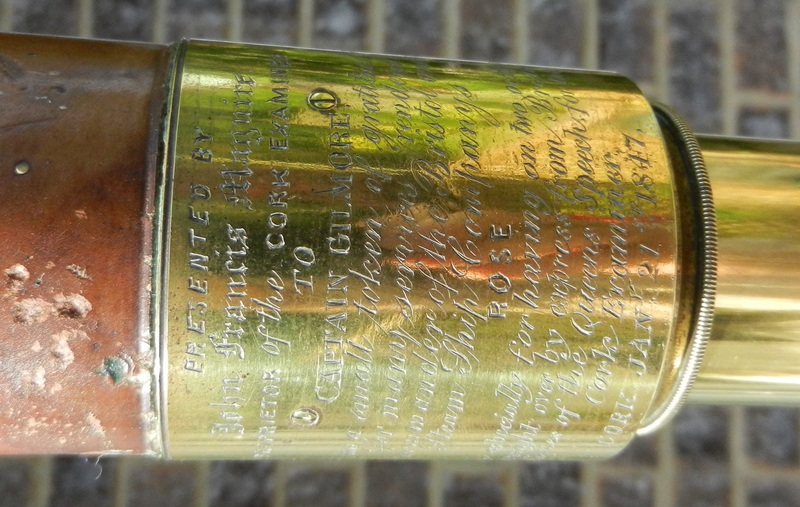 Henry Hunt took over at 118 Patrick Street in 1844, so this telescope in 1847 was early during his management of the firm. He continued in business in Cork until 1884. He must have been significant, in that Gloria Clifton lists him in her British Scientific Instrument Makers Directory, 1550-1851, but I suppose in those days Southern Ireland was indeed within the “British” definition. 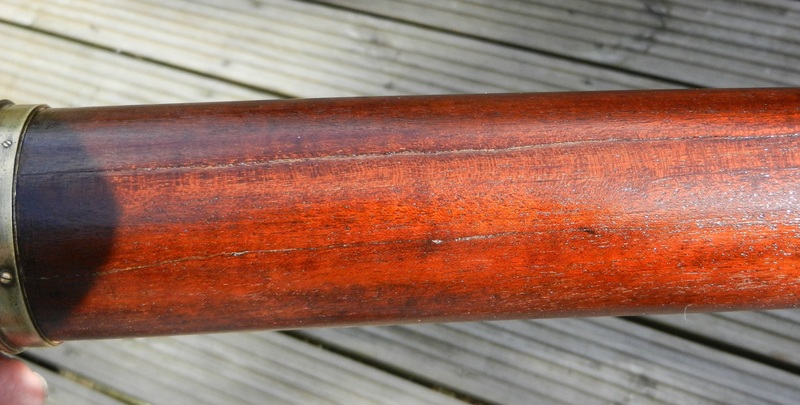 I’ve now passed this on to a colleague, who has links with interested parties in Cork, so it could shortly return to Ireland, maybe on another boat trip!